Yumi Zouma - EP Collection (Cascine) We’ve had the first EP by Yumi Zouma in our catalogue for a while now but somehow the second slipped by us. Thankfully we’ve caught this reissue of both EPs, and we’re glad to be able to make sure you don’t miss out on it either. With the nights starting to draw in it’s the perfect time to discover soft, dreamlike Indie Pop like this. Thankfully the New Zealanders, who have now scattered themselves across the globe, keep a playful and joyful vibe throughout thanks to hints at Disco and mild Electro touches. Our highlight is the delicate, downtempo ballad ‘It Feels Good To Be Around You’ where metronomic percussion balances the varied vocal pacing wonderfully. Check it out here. Neon Indian - VEGA INTL. 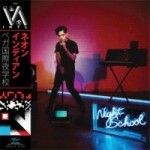 Night School (Transgressive) It seems the progression across the previous two albums has been accelerated during Neon Indian’s four year absence, as Chillwave has turned into Electro funky Pop on VEGA INTL. Night School. Many albums with a similar flavour have been released over the past few years, and we’ve reviewed and loved many of them. Yet for all their danceable beats, we’ve often been left with the feeling that they’re really intended to be listened to rather than danced to. That’s not the case with … Night School, where verses are intelligent and engrossing, while choruses are simply infectious. Check out our highlight, ‘Annie’, here. 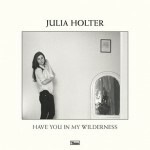 Julia Holter - Have You in My Wilderness (Domino) As a multi-instrumentalist singer-songwriter it’s strange to say that this latest release features an awful lot of Julia Holter. If we were a little more forthcoming with our words, and we really should be, then we’d say that the prominence of her vocals, the variety in her lyrical themes, and the quality of her musicianship distract us into forgetting that this is not the work of a sizeable band but the craft of one very talented individual. 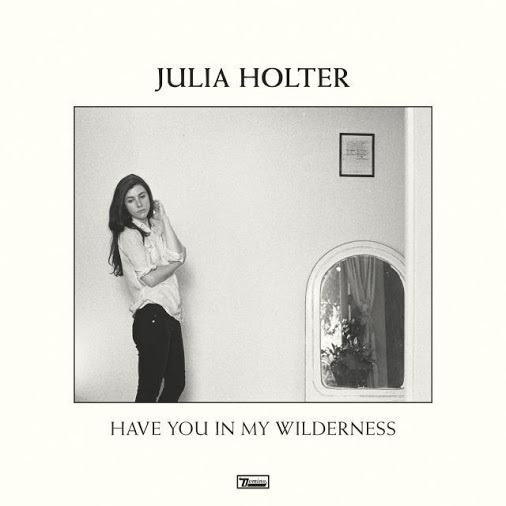 Whether it’s through violin, harpsichord, double bass, saxophone, or piano there is texture that compliments and enhances Holter’s rich and dextrous voice. Our highlight comes in the shape of ‘Silhouette’ with its grand outro and multilayered vocals. Check out lead single ‘Feel You’ here. 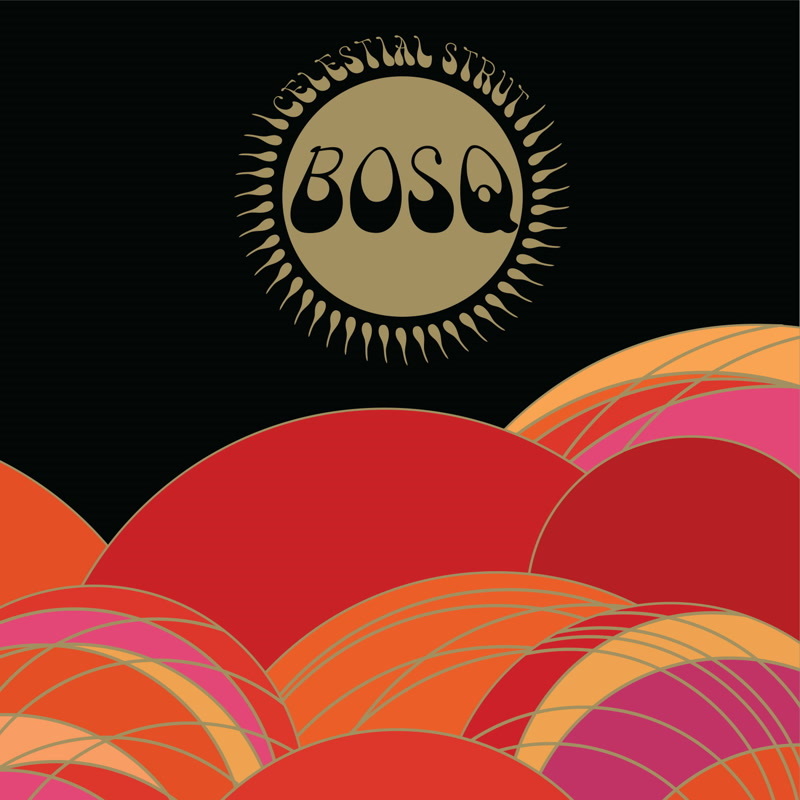 Bosq – Celestial Strut (Ubiquity) Summer will not stop, it will not end, and winter is going to feel great if Celestial Strut is your soundtrack. 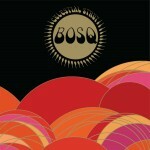 Packed full of African, Latin, and Disco rhythms vying for supremacy with their funky strutting, Bosq more than talks the talk with this set of compelling beats. There’s a classic feel to much of this LP, with the rich vibes of Tamla Motown creeping in alongside the rougher edges of the politicised Reggae, Funk, and Soul of the late 1960s. That’s not to say this isn’t a forward looking and contemporary sounding album with tracks like ‘Bounce and Pull Up’ sure to be at ease working their magic on dancefloors soon. Check out our highlight, ‘Take Over’, here. 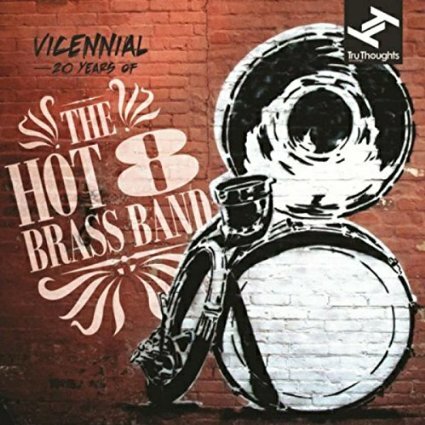 The Hot 8 Brass Band - Vicennial (Tru Thoughts) We’ve long been fans of The Hot 8 Brass Band and their highly energised version of horn-lead Jazz Funk. 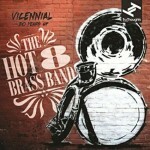 Vicennial is a newly recorded collection of highlights from the New Orleans band’s career so far, all 20 years of it. It features all the classics that The Hot 8 have come to be known for, including a brooding run through Marvin Gaye’s ‘Sexual Healing’, and a riotous ‘What’s My Name’ that riffs on both ‘Who Am I?’ by Snoop Dogg and its source material ‘Atomic Dog’ by George Clinton. Our highlight comes in the shape of ‘Rasta Funk’, which pretty much does what it says on the tin until it shifts the pace with a venture into Stevie Wonder’s ‘Master Blaster (Jammin’)’. Check it out here. 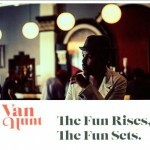 Van Hunt - The Fun Rises, The Fun Sets (Godless-Hotspot) It’s a funky month so far, and that doesn’t change as we catch up with Van Hunt and his soulful vocals on his first album since leaving Blue Note. 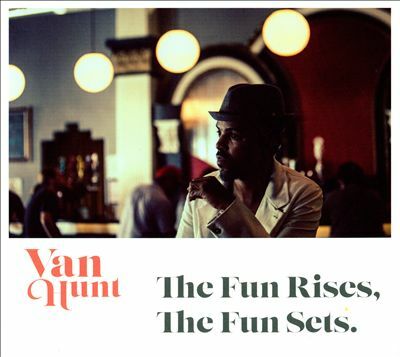 It’s an album of juxtapositions, and few compromises best exemplified by the way the heartfelt piano ballad ‘Headroom’, which comes complete with tear-jerker strings, balances out the baudy lyrics and Funk guitar of ‘Vega (Stripes On)’. Highlights tend to be more upbeat, like on the wah-wah soaked guitar track ‘Puddin’, but our highlight comes in the shape of the quietly emotional ‘Rub My Feet (Suddenly)’, which is part Trap beat, part Disney R&B. We know how that description sounds, so check it out for yourself to see what we mean. 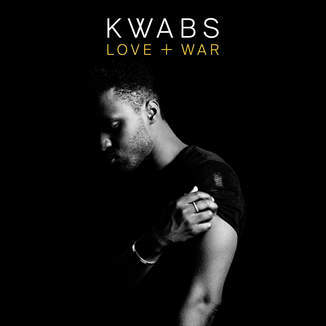 Kwabs - Love + War (Atlantic) While the name of Kwabs may be familiar Love + War is surprisingly his debut album release. With at least four years of public recognition behind him Kwabs’ talent has never been in doubt, so we have to assume the reason it’s taken so long to get to this point is the question of how to package his vocal skills. The solution has been to keep things simple instrumentally, to let the tonality of his voice carry the tracks, and to utilise traditional Pop structures. While that’s quite unlike the current trend for hooking up underground producers with emerging and breakout singers, it’s quite a relief. This is a rare gem of a vocal-focused Pop album. Check out ‘Look Over Your Shoulder’ here. New Order - Music Complete (Mute) The creators of the best selling 12” single in the world are back on an Indie label, with artwork by Peter Saville, and they’ve gone electronic… again. There’s no ‘Blue Monday’ moment here, but there are plenty of club ready cuts complete with unmistakabley fluid synths and snappy percussion; the kind that shaped dance music throughout the 80s thanks to… New Order. While ‘Plastic’ is the most New Order like track, and ‘Singularity’ is bound to be the best received thanks to the Joy Division-esque intro, our highlight goes to ‘Tutti Frutti’ which feels perfectly suited to a Mute release. 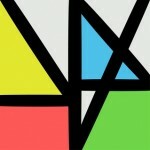 Music Complete is as consistent as New Order have been in a long time, check it out.